Astro A50 Review 2019 - Why This Gaming Headset Is So AWESOME! 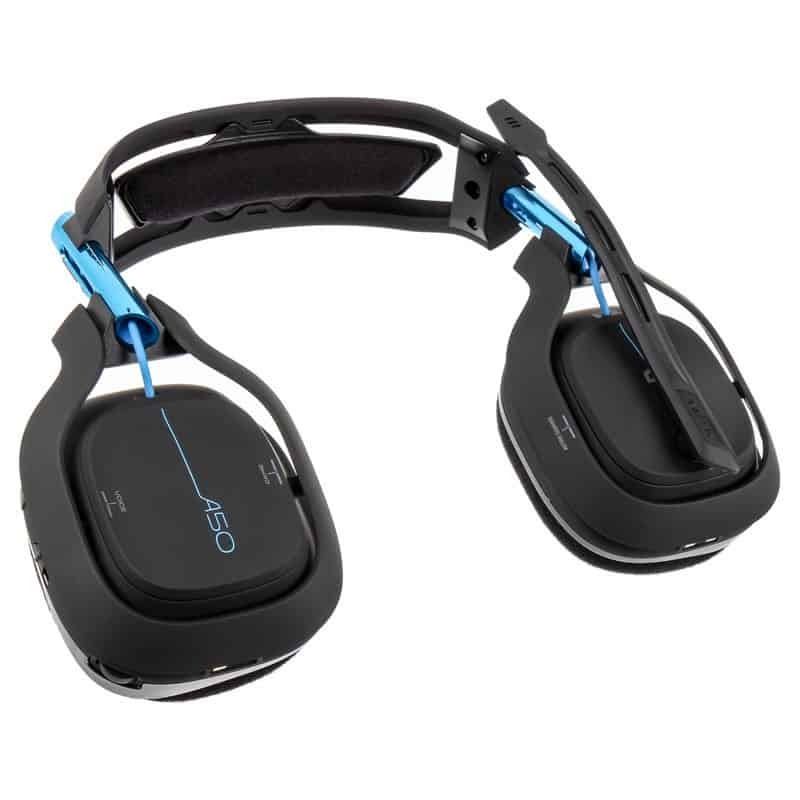 Since Astro Studios brought us Astro Gaming in 2006, their gaming headsets have jostled their way through the crowds of competitors to stand out as some of the best gaming headsets out there. 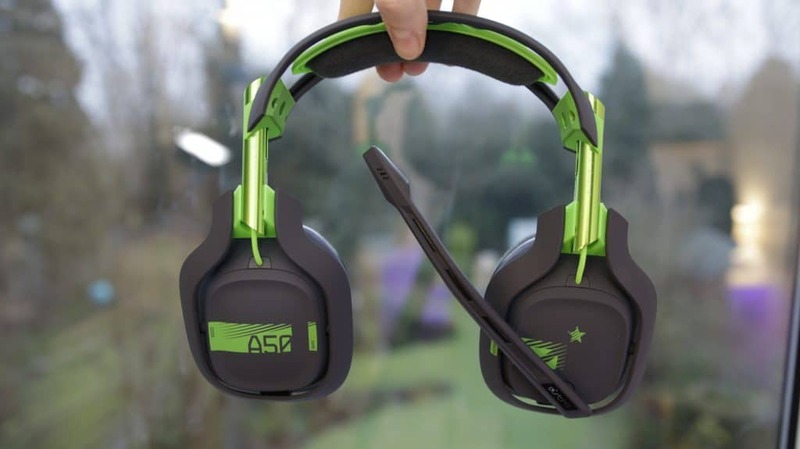 Here we will take a detailed look at the Astro A50. At first glance, the A50 certainly has a lot going for it. 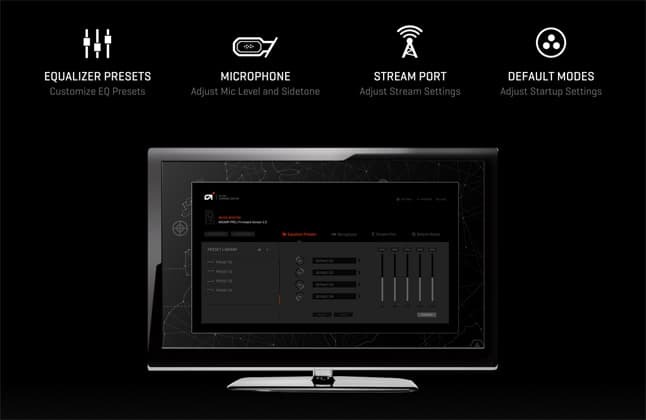 It looks great, boasts 7.1 Dolby surround sound, a 15+ hour battery life and free software offering customizable presets and more. But, as you may imagine, all these juicy features come at a price. A price of $300 to be exact. So, let’s take a closer look at this wireless beauty and see if it steps up to the hefty price tag. First things first – there are two versions of the A50. Xbox gamer? You’ll need the green and gray one. Prefer PlayStation? Go for the blue and black colorway. Both versions are PC compatible. The colors on this headset are great – the blue accents on the PlayStation version are a striking, electric blue that contrasts really nicely against the matte black headset. The Xbox version is just as attractive, with a bright, shiny green against a matte gunmetal gray. The colors cleverly mirror the color schemes of the respective consoles, while avoiding overtly ‘branded’ or gimmicky design. 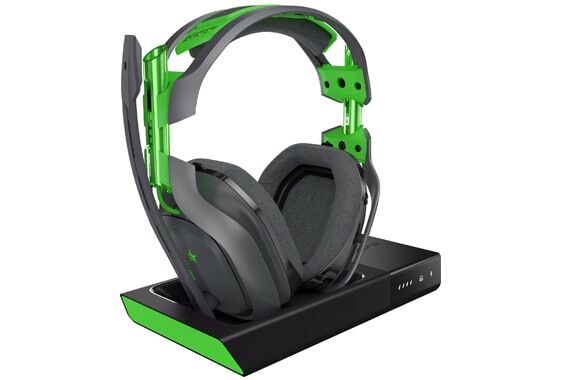 If you own both consoles, you don’t need to buy both headsets but you do need to invest in an additional base station that will cost you and extra $100 or so. The microphone is also nicely designed. 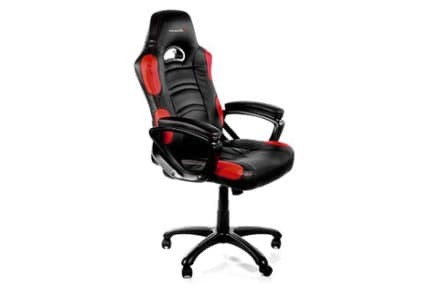 It is bendy and durable, and clicks nicely into place when rotated to an upright position. What’s more, as you click the mic into its upright position, it auto-mutes. Nice. Of course, the A50 is nothing without its base station. The base station is slim, sleek and has a really clean look. The casing is a combination of matte black and shiny black plastic, mirroring the dual textures of the headset itself. A neat feature of the Astro A50 is its “accelerometer”. This detects when the headset is in a vertical position on your head and in use. When placed on its side, the headset switches itself off, turning back on when you pick it up to use once more. This is a great feature, of course. But it’s not perfect. While off in its horizontal position, the battery still seems to drain. This can be frustrating to say the least. To get around this, it is perhaps better to leave the headset in its base station when not in use, to ensure the battery remains topped up. The A50 seats magnetically when docked, allowing you to simply place the headset upright in its base station for charging. The base is station is not perfect though. The A50 has been known to lose connection with the base station, requiring a little wiggle to get it connected once more. Luckily there is a backup USB charging cable to get around this, but it would be even better if we could trust the base unit to stay connected to the headset without supervision! Ok, let’s talk software. The A50 comes with Astro Command Center, a downloadable software that allows you to take full control of the sound levels and equalizer. You can also create and save your own pre-sets. One of the key selling points of this headset is the wireless capability. 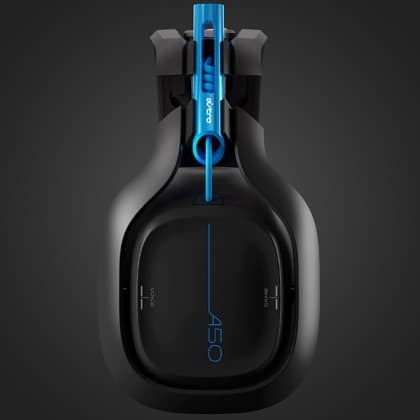 The A50 uses 5GHz wireless technology that claims to have a range of up to 30ft. ‘Up to’ being the operative word here. 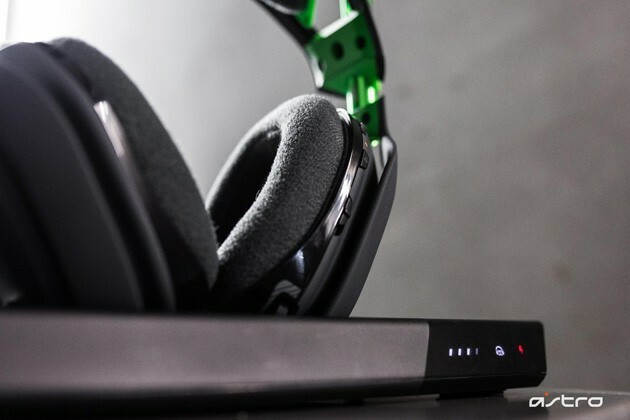 The A50 works best at close range, and connection can be lost if you stray too far from your PC or console. This wireless reach issue isn’t the biggest deal – after all this is a gaming headset, designed to be used at your machine at close range. Just don’t expect to be able to play music from your PC and roam about your home (home size depending!) without losing connection. For the price, we expect big things from the A50’s sound quality. And overall, it doesn’t disappoint. The bass is deep and rich, and the highs are crisp and clear. This sound clarity comes not only from the quality design of the headset, but also thanks to the adjustable audio settings. Astro mode gives you a precise base while balancing out everything else. Studio mode provides a flat EQ which is great for listening to music and watching movies. For serious gamers, Pro mode is where it’s at. Pro mode lowers the bass level, allowing you to clearly detect gunshots and the footsteps of an enemy attack as they approach from behind. Handy. 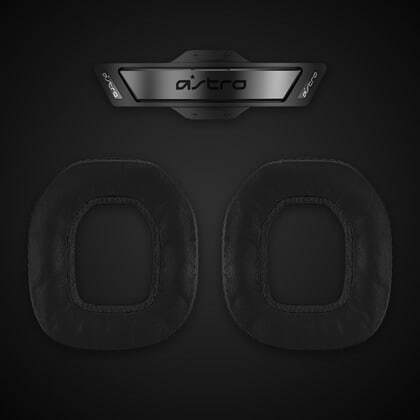 The soft foam ear pads that come as standard with the A50 are adjustable and can be replaced with leather versions. The leather ear pads offer more noise cancellation for when you want an extra immersive gaming experience. For the price, there are arguably better headsets out there when it comes to sound quality. However, should you decide to go for the A50, you won’t be disappointed. The soundstage could be wider, but overall the sound signature is top quality and the customizable nature of it is a real plus point. The microphone does let the side down a little. It’s good, but it’s not the best out there. Your voice will sound smooth and distinct from background noise, but the A50’s microphone lacks the clarity and capability of some other headsets in this price range. 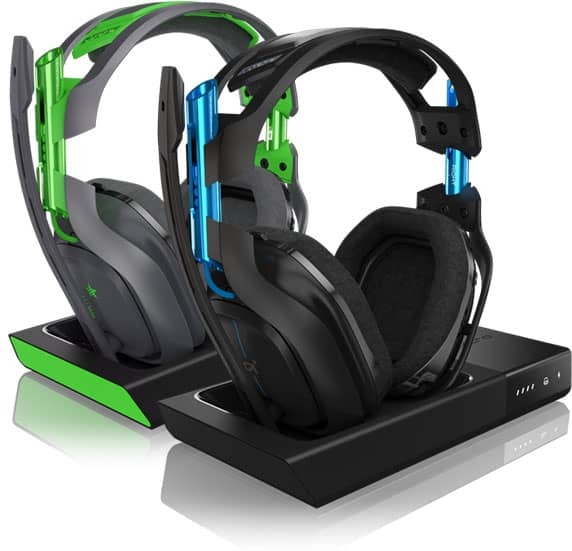 The A50 is relatively light for a wireless headset, but is certainly heavier than its wired cousin, the Astro A40. While you could certainly find heavier units than the A50, you will still feel the weight of this headset as you play. Luckily, the A50 is satisfyingly comfortable – with a clever design that minimizes the weight on your head. The fit is tight, but well cushioned thanks to the thick layer of foam that covers the headpiece. Although well-cushioned, after a few hours of play you may start to feel the squeeze of this headset. 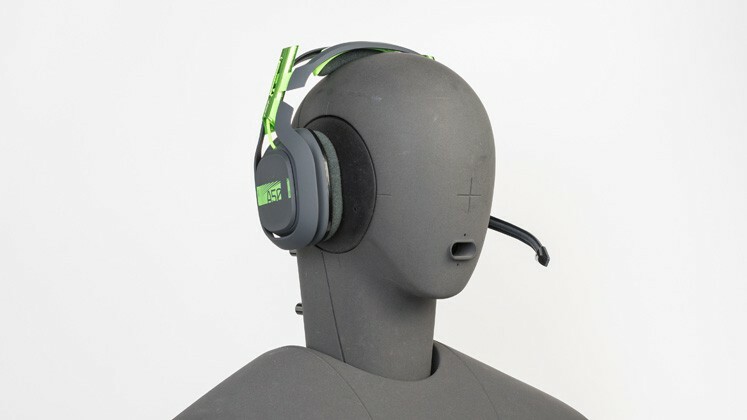 Of course, the tight fit can be alleviated by loosening the headset, but this can lead to the unit sitting more heavily on the top of your head. 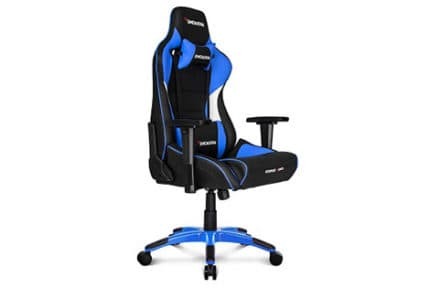 The earcups swivel up to 90 degrees and are covered in a soft foam that is comfortable and cool against the ear, and can be swapped out for leather versions. The cushioned headpiece can also be customized, but – you’ve guessed it – all these options come at an extra price. Get this mod kit for around $40 dollars. If you favor a snug fit, this is an overall very comfortable headset – which is to be expected at this price. You can adjust it to be just right for your head, but here’s the catch: in order for the A50 to sit properly in its base station, you must revert it to its minimum extensions. So, you will need to adjust it to your head settings each time you use it, unless charging with the USB cable. The A50 is a strong contender among the wireless headset community. The spec is high and it has a stylish charging capability with the base station. 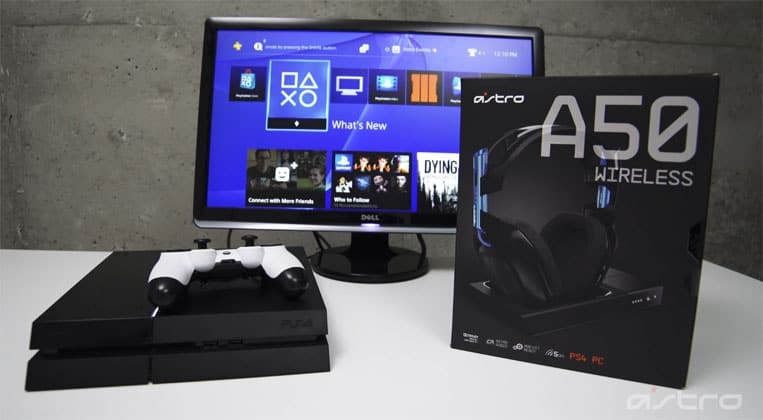 The main thing that we seem to keep coming back to with the A50 though is the price. It is, clearly, a great headset – comfortable (if a little tight) and well designed, with great sound quality that adapts to both gaming and media use. But is it value for money? The A50’s stylish but subtle design means it will stand the test of time – there is no garish branding to be seen so you can be confident this headset will have longevity and be a solid investment design-wise. But, with the few small faults we have found, the hefty $300 price tag is perhaps a little high. However, the A50’s pros vastly outweigh its cons and it has enough going for it that we don’t think you’ll be sorry to spend the money. You’ll be the proud owner of a headset that is leaps and bounds ahead of many others of its type. But you may be left with the nagging question – could I have it better? The Astro A50 does not come cheap, but for the price, you get a design that will not get old, great sound quality and some excellent features. 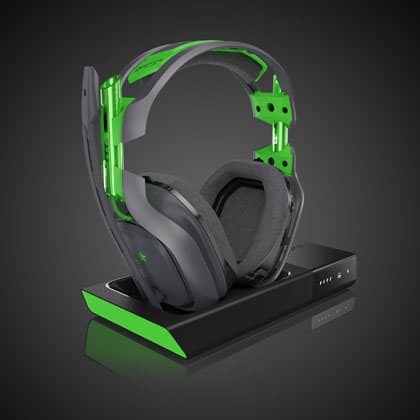 Connection to the docking station could be more reliable, and the headset does sit a little tight on the head, but on the whole, the A50 would make a stylishly reliable – but expensive – companion to enhance your gaming experience.